On your radiator you should have something similar to the picture above. 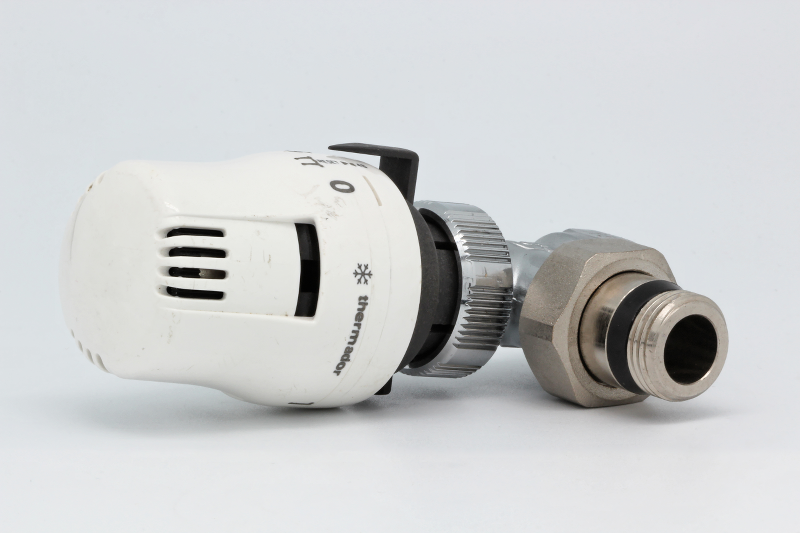 These are called T.R.V.’s or Thermostatic Radiator Valves. T.R.V.’s are self regulating valve fitted to the radiators on a heating system. Traditionally, they have a wax plug which expands and contracts with the temperature around the valve. The plug is connected to a pin,which is connected to a valve. As the temperature around the valve increases, the pin decreases the flow of water through the valve thus allowing a maximum temperature for each radiator to be set. T.R,V.’s can dramatically decrease the amount of fuel your household burns and thus save you a substantial amount of money as well as providing a comfortable temperature in your individual rooms. But they must be set correctly to achieve this. Luckily this is an easy process. Step 3 – Turn down 1 /2 a notch (setting) of the T.R.V. (s) of the room you are in. Give it approximately half an hour and if you are not cold, turn down another 1/2 a notch . Repeat this process until you feel a bit nippy.then turn up 1/2 a notch. Step 4 – Repeat this process in each room. Remember that, you need to take into account what you would typically be doing in each room when setting the T.R.V.’s. i.e. sitting in armchair in your lounge, bathing in the bathroom so try to recreate this when setting the valve. This entry is filed under Hints & Tips and tagged radiators, temperature, valve.